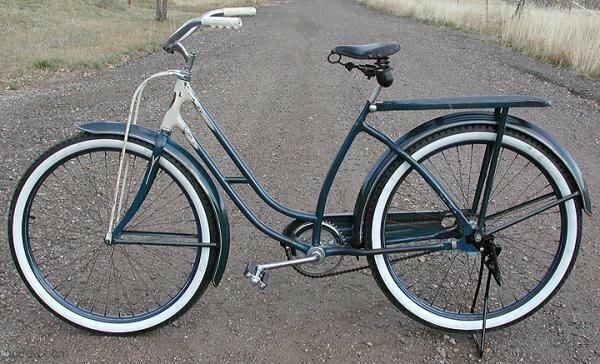 What a Wonderful, Prewar, Collegiate Ballooner Bicycle (1940-1942). This is a Rare, Murray of Ohio, Built Prewar, Fat Tire Cruiser and is the Same Bicycle as the Highly Collectible Sears, Elgin Bicycles. 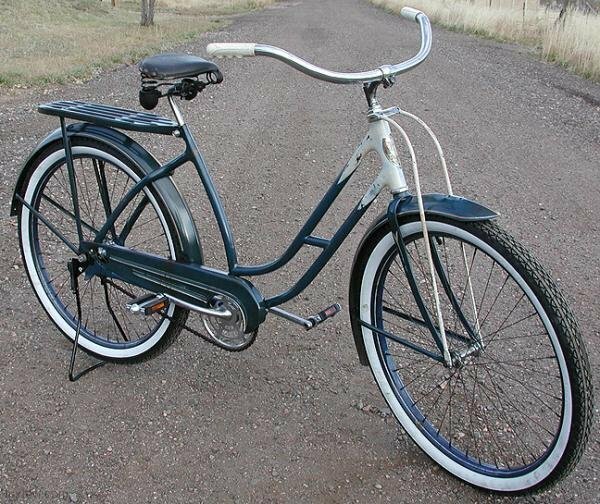 These Bicycles were Known for their Unique and Eloquent Styling. 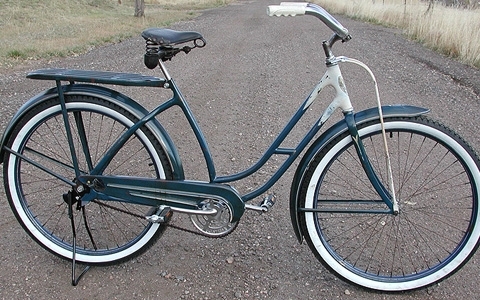 It’s One of the Only Bicycles to Truly rival Schwinn Bicycles. 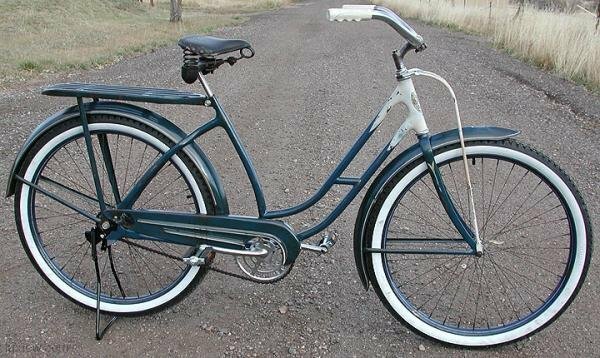 She’s a Full Size Ladies Bicycle with Rebuilt Original 26″x2.125″ Ballooner Wheels and New Goodyear Pattern White Wall Tires. 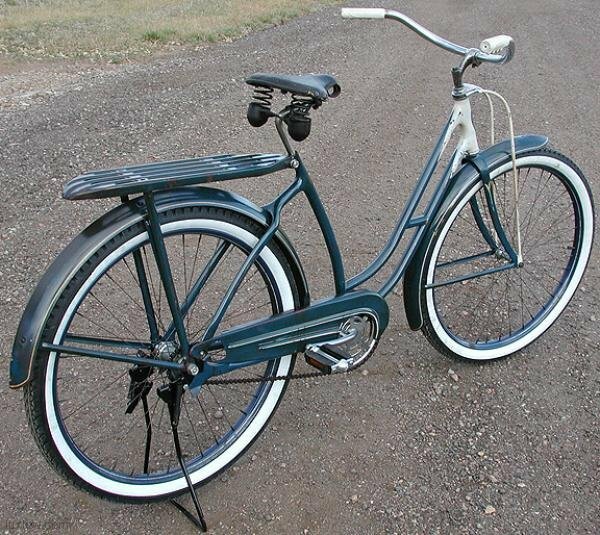 The Bicycle Has the Original Seat and Wide, Half Moon Handle Bars with Cool American Torpedo Grips. She’ll make you Smile for Miles.